DESCRIPTION Fantastic value in this modern and tastefully finished town home, significantly below new cost! This one owner non smoking no pets unit is perfectly poised where the South Sun fills the unit with natural light all day long, step out on to the south balcony and enjoy that morning coffee, too hot outside? No problem this unit is equipped with Air Conditioning for that summer comfort. This 2 bed 2 en-suite bath unit is loaded with additional upgrades. Featuring maple espresso cabinets, upgraded appliances with a french door stainless fridge, laminate flooring and 9' California knock down ceilings. The garage is insulated, heated and is much larger then a standard single garage its 13 wide and almost 21 feet deep. Conveniently located within the prestigious community of Mahogany with quick access to main arteries and steps to the lake entrance. See it, live it, buy it! Home for sale at 214 Marquis Ln Se Calgary, Alberts T3M 2G6. 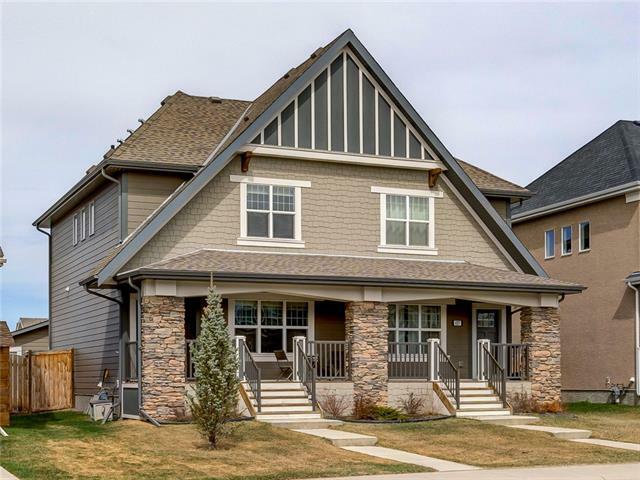 Description: The home at 214 Marquis Ln Se Calgary, Alberta T3M 2G6 with the MLS® Number C4238480 is currently listed at $289,800.